Conferences are so much fun. There’s nothing better than being around smart people. Be it in your PLN and hanging out as friends, or in a session listening to an awesome speaker, or through questions the participants ask. The conversations presenters and participants have after the session is over almost always generate more great ideas you hadn’t even thought of. I rarely leave a conference without ideas to take back to the classroom (in the past) or for my job now. Just in the first 12 hours I’ve realized I need to take personal notes so I don’t forget all the ideas. Conferences are so much fun. Our week started off in awesome fashion with an impromptu meetup on Saturday night with Mike, Glen, Jon Spike, Andrew Arevelo and Stephanie Vizcarra Good food and awesome conversations were had. It reminds me that part of the conference experience is learning more about your PLN and developing relationships. Glen and I both definitely feel blessed to be able to work and collaborate with such amazing educators. Sunday morning we headed to the hall and made the trek to Andrew’s session “The non-gamer’s guide to gamifying the classroom” His awesome card game Top, Middle, Bottom was a feature of the session and you should definitely check out the website for the game. It’s a ton of fun. What’s great about sessions like Andrew’s is that he is showing people a super easy, low barrier to entry way for teachers to learn more about gamifying but are a little fearful of the bigger ideas surrounding it like badges and achievements. We capped of the day spending time with Rachelle Dene Poth and Jon Spike. Both of those conversations will be on an upcoming FETC Special Edition episode this week. Both Jon and Rachelle had sessions on Sunday so we are incredibly happy they took some time out of their day to chat with us. Overall Sunday has been an awesome first day of conversations and networking and we are just getting started. OnEducation’s FETC Special Coverage is sponsored by Classcraft. 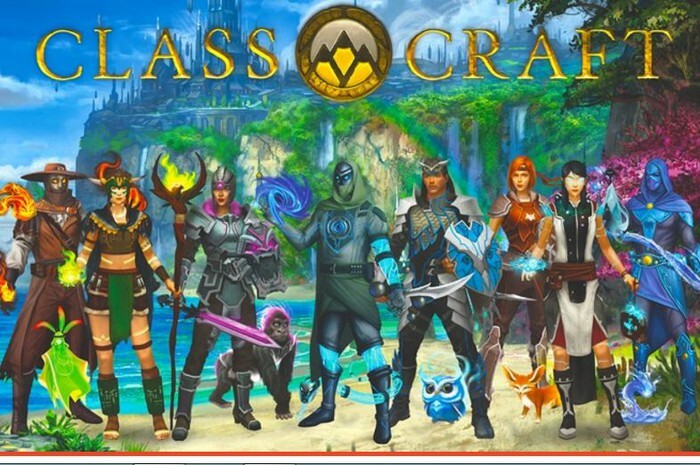 OnEducation listeners can go to classcraft.com/oneducation and use promo code ONFETC to get $16 dollars off a yearly premium license and a free class pack which includes 2 poster and 48 stickers for their students and classroom. This deal is valid through end of February. If you were looking for a reason to dive into their amazing quest-based-learning content, we can’t think of a better time than now!